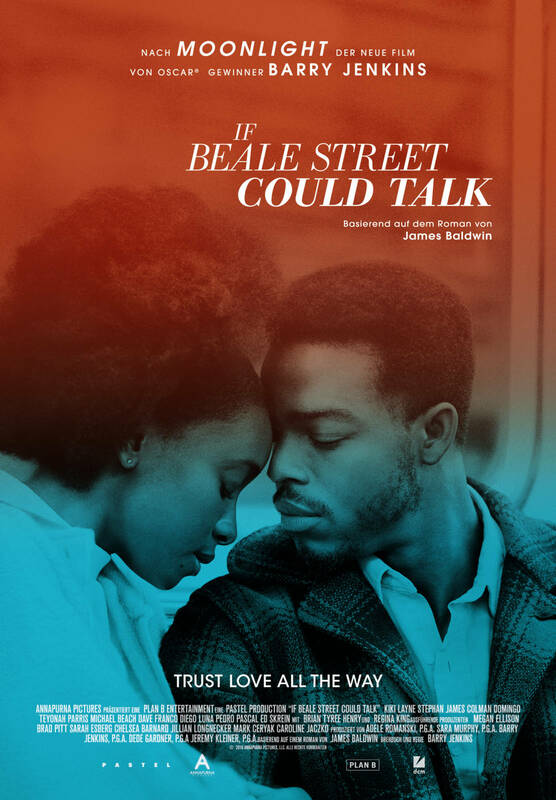 Deutscher Filmtitel : "Beale Street"
Having known each other since childhood, two ardent young lovers in early-1970s Harlem--the nineteen-year-old, Tish, and her twenty-two-year-old self-made sculptor beau, Fonny--have all the time in the world to plan their shared future. However, a hideous crime on the other side of the town paired with a flagrant abuse of power will have a wrongfully accused Fonny singled out at a police line-up, incarcerating him for an atrocity he didn't commit. Now, an unending lone quest for justice begins, as life's unstoppable force blesses both saints and sinners. But, is love enough against the injustice of a cruel world?